My sewing machines have been whirring lately. I’ve been sewing things that I can’t share with you though. I’ve been hired to do technical editing, which means I get to see and sew sewing patterns before they are released. I really love the work, helping a local company (Colette Patterns) to review and edit patterns and the instructions that go with them before they are released to the public. I have always loved editing, and of course I love sewing, so technical editing is a perfect fit for me, and work that I’m quite familiar with. I have been able to do a bit of sewing for myself as well. 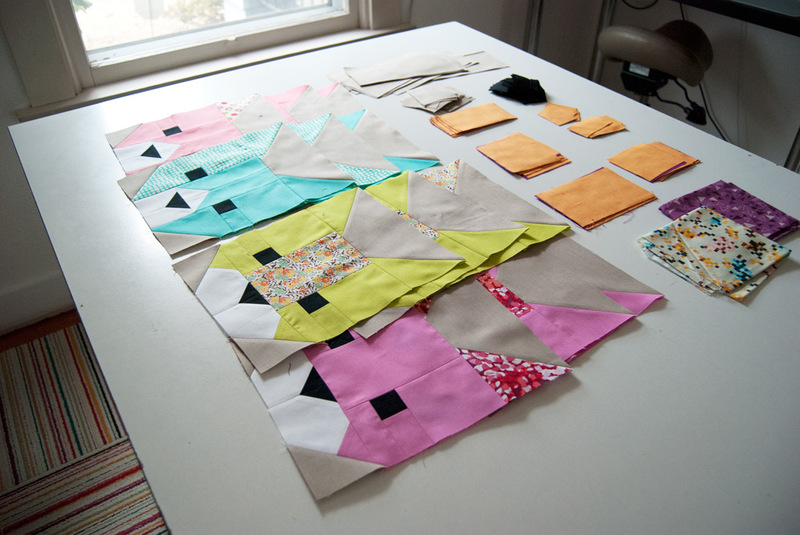 I am slowly working on a bunch of cat head quilt blocks. Yes, cat heads! 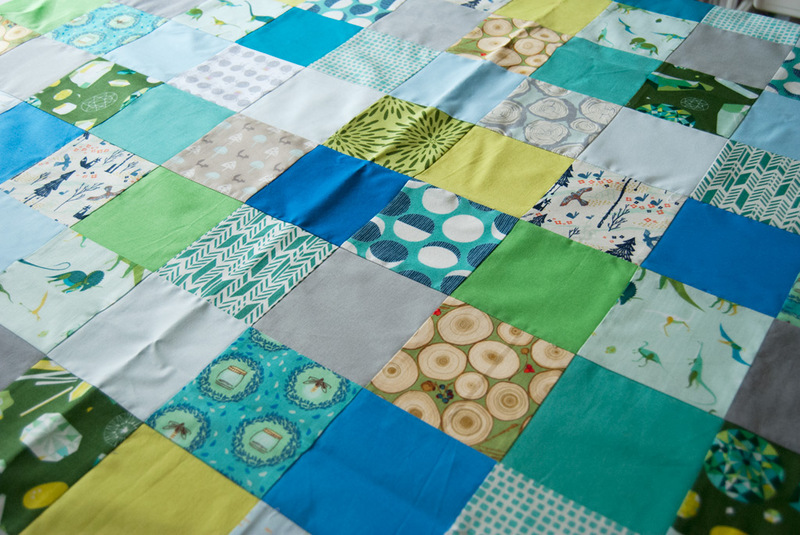 I saw this quilt pattern (called The Kittens) that Elizabeth Hartman designed, and sent a message to two other bloggers who I knew would love it. Elizabeth was kind enough to send me the PDF of the pattern, and it is wonderfully written, as all of her patterns are. My swap partners and I are swapping blocks sometime in the near future, so I hope they love bright colors in their quilts! Em’s quilt top is finally pieced as well. Of course, who knows when I’ll get it sandwiched and quilted. I think that will be a fall/winter project. Maybe I can get it done by his first birthday? Ha! I do love to machine quilt when it gets colder out. 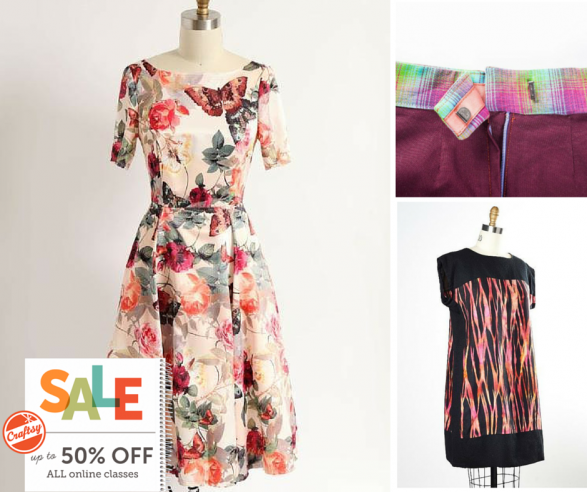 It gets pretty warm in my sewing room in the summer, because I have two big windows that light streams through, warming up my studio very quickly. Add in the additional heat from pressing and steaming and having a lap full of wool batting isn’t so appealing. I couldn’t resist cutting out another one of my favorite tank top patterns. I have the instructions on this site for making your own pattern and sewing one up if you’re interested! 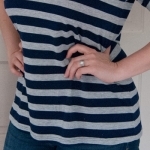 These tops are definitely a staple in my summer wardrobe. I had held onto this fabric for a long time, waiting to design or find the perfect sewing pattern for it, and I finally got tired of seeing it in my stash but never getting to enjoy it. It’s so much nicer to get to wear this rayon print instead of stare at it in my stash. Most of my sewing is being done with items in my fabric stash. I honestly only own maybe 25 pieces of fabric that are uncut yardage, waiting to be turned into garments. Even most of Em’s quilt fabrics came from my stash. It feels pretty good to start seeing some bare spaces on my shelves. I have two large stacks of fabric that consists of remnants, leftover pieces from dresses and shirts. 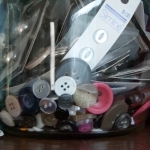 It may be time to cull through those and be ruthless, throwing out anything that doesn’t have enough yardage left to cut out an actual project. There are lots of little bits that I saved thinking that I’d make baby clothes out of it, but I realize now that most of the pieces are not large enough to even cut out a shirt for Em. Have you read the Wardrobe Architect series on the Colette blog? A year ago I told myself I was going to do the exercises that they have written up, but I still hadn’t found time for it. Now, as I am beginning to use up my “good” fabric, I want to make sure I am making style choices that I am going to enjoy wearing for a long time. I’m a pretty picky person when it comes to what I wear, but too often I give up on finding a garment with the fit I actually want and then I buy something inexpensive that I don’t love. Couldn’t I buy yardage instead and make what I want? Of course I could. I have false story in my head that I’ll be able to find what I want with the fit and fabric that I love. How often does this happen? Basically never. It’s time for some detailed sewing planning and cleaning out my closet. I have been wanting to pick up some new sewing techniques too. I have quite a library of knowledge in the ole’ noggin, thanks to working with such a diverse group of people over the years. But I’ve been trying to find techniques and methods that are new to me, to spice things up. 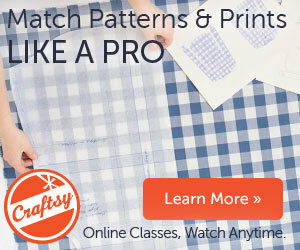 I’ve been looking through the Craftsy sewing catalogue, and I’m going to watch a few classes to see what I can glean. I’ll let you know if a particular class has any really good tricks! Speaking of Craftsy, they are having a 50% off sale this weekend, through September 9th! If you purchase a class with my affiliate link, I receive a small portion of the proceeds, to help me restock my fabric shelves. So please tell me, how do you decide what kinds of garments to make out of your “special” fabrics? Do you plan a lot in advance, or just sew it up and hope for the best? This entry was posted in General, Life, Projects and tagged sewing on September 4, 2015 by Amy Alan. Em’s quilt top looks great, as do the kittens & your tank top. I’ve also been meaning to join in the wardrobe architect series, both times, but it hasn’t happened yet, maybe next year when I’m done with school. Hopefully I’ll have more sewing time & energy when I’m done with school. And as Lucas gets more independent we can sew/play together in the same room. Oh my gosh I bet you would! I wonder just how many yards of fabric you own. 😉 That’s really sweet that Lucas will play while you sew. I hope that happens here someday! Your quilt blocks look amazing!!!!! So fun!! Em’s quilt is really looking cool! As far as “special” fabrics go, I’ve had good luck using them on a pattern I’ve made once before. I get fearful about using them on a project that’s an experiment- it’s nice to cut into them for a garment that you know you’ll actually wear! Thanks, Sonja! I need more fabric for the cat heads, but they are pretty quick to make with lots of chain stitching. Ah- that’s a good idea! I will have to see what fall patterns I have that I’ve enjoyed before. I tend to want to only use patterns once, buuuuut I should probably change that habit! I mean, I go through the pain of tracing off my size instead of cutting it up for a reason, right?! PS you sent me down a Craftsy rabbit hole last night! 🙂 Thanks for the link to the sale! Sorry/not sorry! 😉 I do it to myself too! I just started watching a Danish pastries class…. as if I need an excuse to eat more baked goods! I’m a little torn Amy. 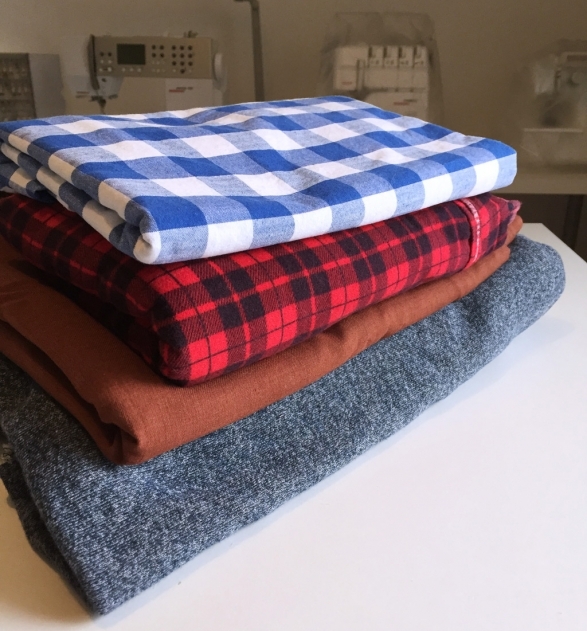 I have all these wardrobe holes for T Shirts and staples that seem so mundane to sew, I prefer to sew interesting things like a wool duffle coat in spring in the southern hemisphere! So this past week I’ve been running up some T shirts, self drafted so I feel I’m at least extending myself. I often strive for new techniques, hence I have clothes for a different reality. I never wear dresses and yet I have a couple of those plus 3 pencil skirts unworn – not sure what I was thinking. Its a great exercise in self control forcing oneself to make the everyday I think. I have these same wardrobe holes, Lesley! I too want to want to sew things that are more challenging and have more interesting design lines. There is something to be said for a simple shirt that can be quickly whipped up though. I think having an intense sewing project in the works, and then spending an evening serging up 2-3 t-shirts can be immensely satisfying! I hear you on having things in your closet that you never actually wear, but you’ve taken a ton of time to sew. As much as I love detailed projects, I don’t want to spend my precious free time (and fabric budget) on something that will rarely see the light of day. A few years ago I became obsessed with fat quarters, all those pretty fabrics that coordinate so beautifully. I have drawers and drawers of precut fabric. Then I realized I’m just not the quilter I wish I could be. Now when I buy fabric for my stash I often wonder how much yardage to pick up when I don’t have anything specific in mind but I just have to have that fabric. Anybody have a rule of thumb as to how much to pick up when you fall in love with s fabric but have no idea what it’s going to be? What a good question, Tami! I know that somewhere on the internet I have seen a set of flashcard-like cards that list general yardage requirements for shirts, dresses, skirts, etc, so if you think, “Someday I’ll make a dress out of this”, but you don’t have a pattern, you’d have a good idea of how much yardage you’d need. If I’m buying a quilting cotton that I really love, I generally buy one yard of it, so I’d have enough for multiple projects. For garments though, I buy at least 2 yards so I could make a shirt or simple skirt, and if I REALLY love it, I’ll get 3 yards. I’ll keep your question in mind for a future blog post though- maybe then we can get lots of input from other people as to how much they usually buy! Hi Amy I love your style of teachings. I start a sewing project first by deciding the color scheme. My religious teachings are my first concern about the type of fabric, length of my garments and also the color. I am not too confident in the choice of patterns. 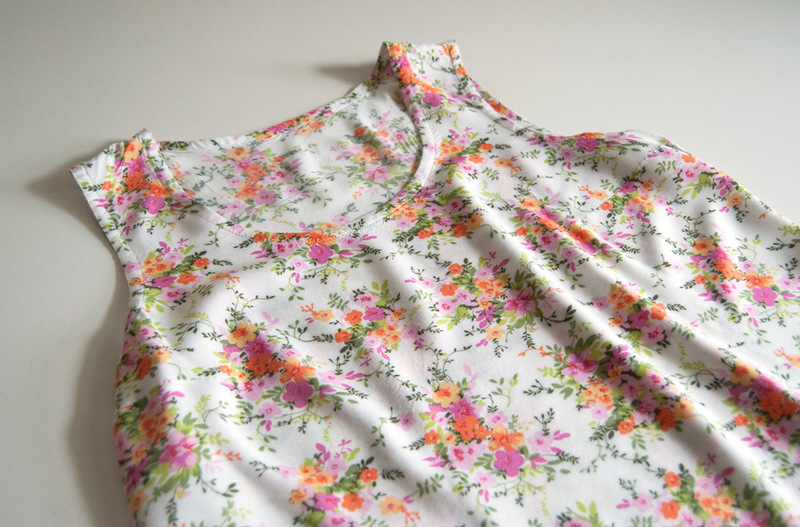 I see one that provides some sort of easiness to make the garment piece and that is what I buy. I mostly buy online because of convenience and that is a big help. I also have a large amount of fabrics hanging around (hoping to be made into ….) but it is difficult for me to decide what to do with them. But when I do make my decision, the way I want it to fit is very important to me. I must have at least one one inch larger than my actual size (that is for MY comfort). I don’t have a lot of knowledge (but I am learning from teachers like you) online and I do pretty good making my overgarments and skirts. Shoulders, sleeves and cutting are not my strong points but that is okay I am still learning the ropes. Thanks for being such a wonderful teacher. Enjoy your day. It sounds like you know what you’re doing! The shoulders, sleeves and cutting will get easier over time. The more you sew, the more practice you get, the easier these things become. I agree that it is hard to decide to do with a large fabric stash. I have really cut mine down, and it has has helped immensely that I have been avoiding the fabric stores. I will always see more fabric that I want, so forcing myself to use what I already have is a better choice both for my pocketbook and my stash size. Plus, I finally get to wear those beautiful fabrics I’ve been hoarding for years! It feels so much better than looking at them on a shelf. Thanks Amy for the quick reply and encouraging words. Your words will ring in my ears every time I look at or go near my stash of fabrics that I have yet to dwindle down to a precious few. Here’s to success yes?